Browse this rich and expansive selection of eye-catching banners and signs to serve any of your current business needs. 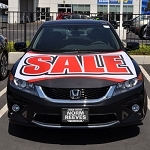 These Banners and Signs are ideal for promoting a car sale, announcing a grand opening, making your car dealer more convenient or offering special deals. Ensure more customers catch sight of your business with colorful and clearly visible banners and signs that lend a professionalism to your endeavor. 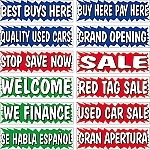 Ideal for car dealerships and used car lots, this vast collection features banners and signs that accommodate any type of vehicle. Find banners and signs in the perfect colors and sizes to best suit your business and entice potential customers with clarity. 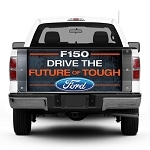 Let the public know exactly what you have to offer with a wide variety of attention-getting slogans and phrases. 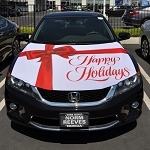 Banner pricing is a terrific way to list your deals and allow customers to browse your inventory with ease, and without requiring additional customer service. 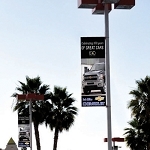 Discover the ultimate marketing, advertising and pricing solution for your business from this detailed banner and sign collection.